Does holiday shopping stress you out? Unfortunately, you’re not alone. About 41% of millennials are chronically stressed out about money, according to the better money habits millennial report from Bank of America. While you can certainly feel exasperated with the idea for having to find and pay for gifts for everyone on your list regardless of which generation you fall in, it’s important not to let holiday shopping completely overwhelm you and ruin your holiday spirit. 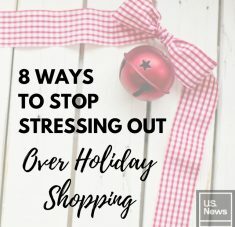 On U.S. News and World Report, I’ve shared 8 crucial ways to stop stressing out over holiday shopping. It all starts with your organization and setting realistic expectations. 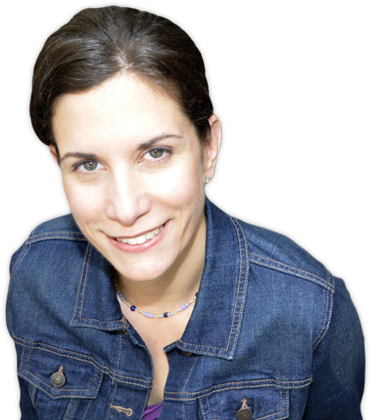 At times, we inflict a lot of stress and worry on ourselves during the holiday season. We feel obligated to buy certain things, say yes to everything, and overwork ourselves without truly knowing why we’re doing it. In my article, I include some tips from experts regarding helpful ways to set expectations with loved ones during this time of year along with how to organize those pesky shopping receipts. On the flip side, there is also some fear and worry that can be completely justified especially when considering risks like theft and fraud which is notoriously common during this time of year. The key to eliminating stress surrounding these worries and risks is to prepare yourself ahead of time and slow down. Holiday sales can be tempting but realize retailers want to create scarcity to get you into the store quicker. There will always be plenty of sales now and year-round so don’t feel pressured to run after every single discount and embrace the idea of slowing down and pacing yourself. If you’re looking to plan strategically when it comes to holiday shopping this year and reduce stress especially when it comes to your finances, read the full article on U.S. News and World Report here.